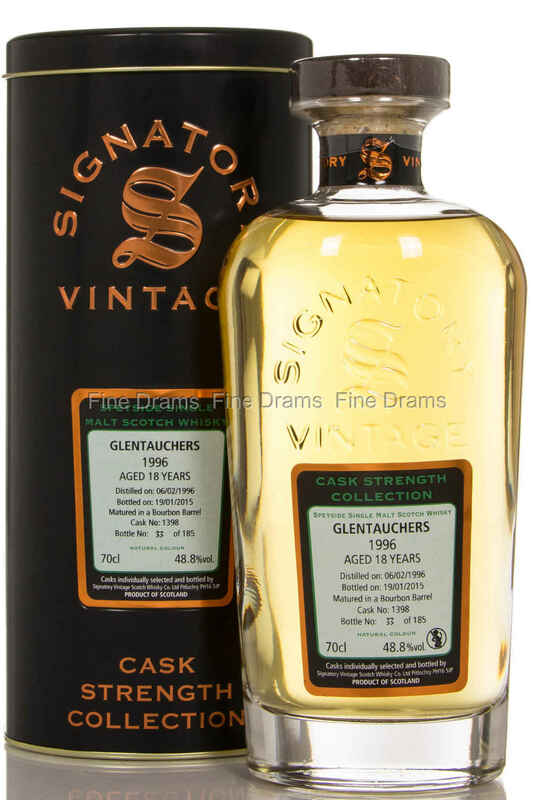 By the chaps at Signatory Vintage, this is a 1996 vintage of Glentauchers, distilled on the 6th of February, and bottled on the 19th of January, 2015. It was matured in a single bourbon barrel (cask no. 185), which yielded a total of 185 bottles.